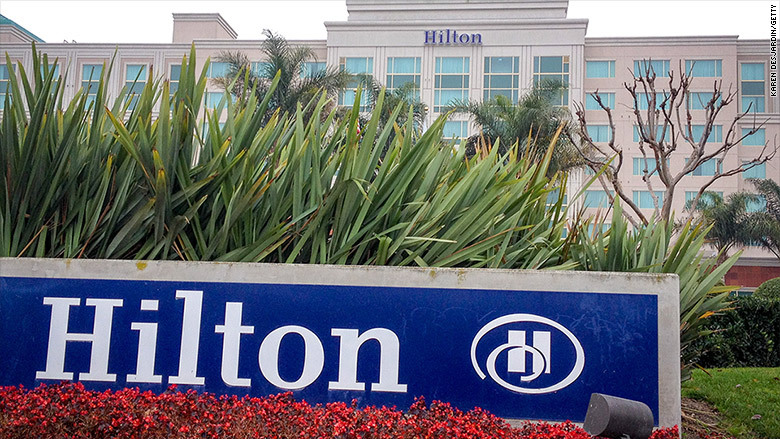 The FCC says Hilton stonewalled its investigation about blocking Wi-Fi signals. The Federal Communications Commission has fined Hilton Hotels for stonewalling an investigation into whether it blocked customers' personal Wi-Fi hotspots. In August 2014, Hilton guests began complaining to the FCC that the hotel was blocking their ability to use their own Wi-Fi hotspots unless they paid a $500 fee. In order to avoid pricey hotel Wi-Fi charges, many guests opt to use hotspot devices, which transform 4G data from their cell phone provider into Wi-Fi signals. Some smartphones are also able to beam out Wi-Fi. Hotels have been known to use Wi-Fi jammers that can block Wi-Fi signals (except the signals from the hotels' own Wi-Fi networks). In November 2014, the FCC sent Hilton a letter of inquiry asking the company for basic information about its Wi-Fi blocking practices. But a year later, the FCC says Hilton has failed to provide responses for "the vast majority of its properties." On Monday, the FCC slapped Hilton with a $25,000 fine for obstructing its investigation. It threatened Hilton with a "significantly higher fine" for continuing to remain silent. "Hotel guests deserve to have their Wi-Fi blocking complaints investigated by the Commission," said Travis LeBlanc, head of the FCC's Enforcement Bureau. "To permit any company to unilaterally redefine the scope of our investigation would undermine the independent search for the truth and the due administration of the law." Hilton said it "strongly" disagrees with the FCC's fine. "Throughout this inquiry, we have cooperated with the FCC, providing extensive background and details in a timely and efficient manner," a Hilton Worldwide spokesman said. "We believe that the FCC has no basis for vastly expanding the initial inquiry based on a single complaint at a single Hilton hotel." The spokesman for Hilton said the hotel chain has a policy that prohibits hotels from blocking Wi-Fi -- and it "repeatedly communicated" that message to all of its hotels. Hilton's (HLT) connection rates vary by hotel, but they typically start at $4 per day. Guests can also upgrade to get increased bandwidth, which includes video chatting, downloading large files and streaming video. Hilton offers free Wi-Fi to its HHonors members. The FCC has banned the use of Wi-Fi jammers. In January, it fined Marriott $600,000 for blocking Wi-Fi in its convention centers. On Monday, the FCC also fined the operator of the Baltimore Convention Center $780,000 for jamming Wi-Fi signals there.